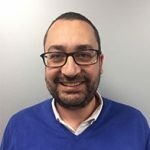 Meet Petros Sorokkos, a Manager at KPMG, Cyprus talking about their involvement in the SciShops project. KPMG is not a traditional player in research projects. However, for us the concept of collaboration between society and the research community is not new. We have been active in this field for the last years, trying to create synergies between stakeholders and are keen to build closer bridges between industry and academia. This project involves a blend of our in-house management consulting expertise, with stakeholder engagement and the creation of knowledge. For KPMG, SciShops is an ideal platform for providing knowledge to our local community, bringing together actors of various disciplines to work for a common goal and building solid connections with local academic institutions through the pursuit of common endeavours. Q: What is KPMG’s role in the project? KPMG is responsible for the practical arm of the project, that is, the establishment and successful operation of the Science Shops. We are providing tools and practices that are built from a business/ industry point of view and trying to adjust them to fit a different kind of entity, a Science Shop. Like all establishments, Science Shops also require business understanding to ensure their smooth running. We therefore aim to equip them with useful tools that make business and operational sense and as a result make them more sustainable. Q: Tell us a bit more about the Science Shop you are setting up. In Cyprus, we are setting up a Science Shop within a company, which, we believe, may be the first of its kind. Our objectives are to utilise the accumulated knowledge that exists within the company and create synergies with local educational institutions to ensure a broader coverage of topics. With this, we aim to create results which benefit the local community. The KPMG Science Shop is particularly gathering research questions that aim to provide outcomes with socioeconomic and environmental impact. Q: Are there any challenges you are coming across or foresee as a business-based Science Shop? Just like every venture, the key challenge is endurance in the fast paced world. If one adds to the mix the lack of steady funding sources for Science Shops, which essentially provide their end product to society, then the challenge is evident. That is why a sound business plan is very important for the development of each Science Shop. A business plan provides valuable information that is useful to potential investors from both the public and private sectors. At the same time, adaptation is another key challenge. As society becomes increasingly digital and connected, each Science Shop must be in a position to adapt to changing trends, remain up-to-date and provide value to its stakeholders. Q: Are Science Shops a well-known concept in Cyprus? In Cyprus the Science Shop concept is not well known, although through the EU PERARES project, a Science Shop was set up a number of years ago at a local university, the European University Cyprus (see our case study about it). The main challenge at local level is the lack of trust between industry and academia and vice versa (hence our aim to build bridges between them). The role of KPMG therefore in the SciShops project becomes ever more important. Personally, it is very exciting to work with such a diverse group of people from very different backgrounds to mine. The SciShops project is an ideal platform for mutual learning and this has personally had a positive impact. Finally, I am excited to work on a project that seeks to benefit society.